We offer handpicked Villas for rent in Labin-Rabac, with prices starting from 23 € per night per person. 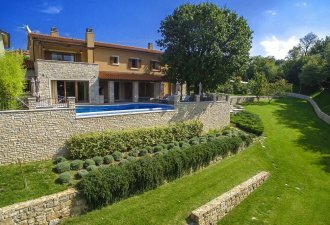 With the help of Villsy.com you can book your private villa with pool in Labin-Rabac. Contact us via phone or form if you need more information. 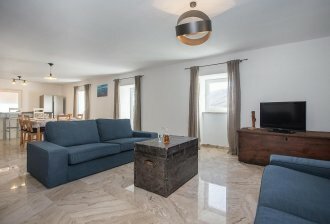 24 sqm large swimming pool with sunbeds and outdoor shower, spacious covered terrace with dining table, barbecue and parking places for two cars. When green hills meet in the east with the Adriatic, then you are in Labin and Rabac. The beautiful nature and cultural heritage make this place a true paradise for artists and nature lovers. From Labin you can look at the beautiful landscape of Rabac. The town of Labin is located on the eastern coast of the Istrian peninsula in Croatia, almost 40 km from Pula and 60 km from Rijeka. Labin is considered the historical and administrative center of eastern Istria, which was founded in the second millennium BC. During a city tour, the beautiful loggia of the buildings and numerous palaces can be viewed. You are right in the middle of Mediterranean European history. So that you can enjoy your holiday in Labin and Rabac to the fullest, we offer you on villsy.com to rent villas with pool. Our search engine makes it easy for you to find the right villa with pool in Labin and Rabac. In addition, it is also possible to rent holiday villas in the area of ​​Labin and Rabac for your holiday. For example, you can rent holiday villas in Krsan, Rasa and Pican. Here you can fully enjoy your peace and relax completely. From Germany Labin and Rabac are easy to reach by car. Alternatively, you can also use the plane and the ferry. 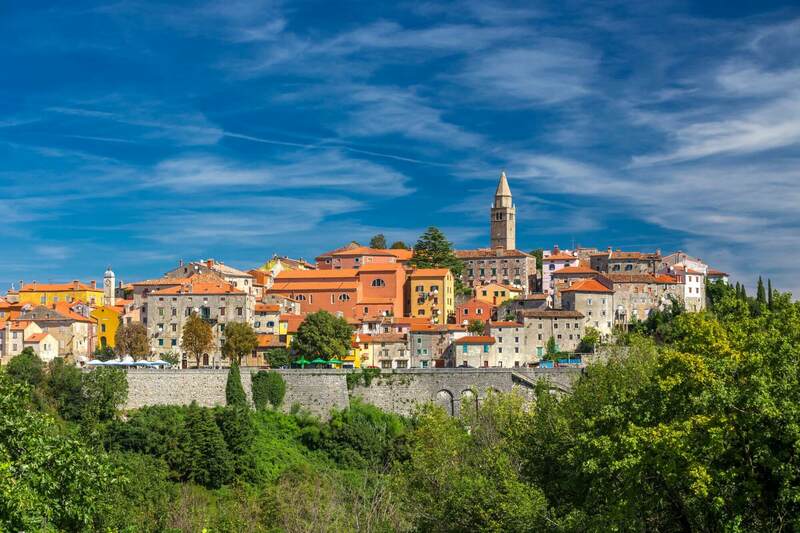 Since Labin and Rabac are located on the east coast of Istria, it is recommended to choose a route through Austria and Slovenia. From Slovenia you continue to Croatia. The vignette obligation is to be considered as well as the tolls. EU citizens must be able to show their valid passport at the border. Labin is located about 550 km from Munich. After seven hours by car from Munich you can reach Labin. Another option would be a flight to Pula. From Pula you can reach by rental car or the taxi Labin and Rabac. From Munich you have to fly at least three hours to Croatia. The distance between Pula and Munich is 600 km. From Venice you can also reach Labin by ferry, but first you have to come to Italy. The boat trip from Venice to Labin takes three hours. 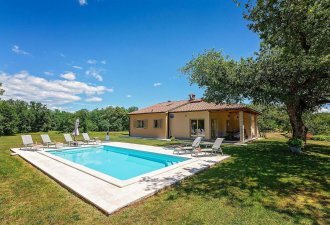 To relax after a long journey, rent a villa with pool in Labin! With Villsy you can easily book your villa with pool in Labin! There are many things to discover in Labin and Rabac. Especially in Labin you will find numerous museums and galleries and there are also many beautiful beaches in Rabac. Bathing tourists and culture enthusiasts will definitely feel at home in Labin and Rabac. The gallery Alvona is definitely worth seeing. The Labin painter Vinko Šaina has his studio on "the mountain where the light is born". Vinko Šaina restored the picturesque little church of the Carmelite Madonna and transformed it into the art gallery Alvona. Today it is a place of worship for exhibitions and performance art in Labin. Also the parish church Rodenja Marijina tells us the history of Labin and Rabac. In 1336, the parish church was built on the foundation of an 11th-century church. It was often renovated and in 1604 a Venetian lion with a bullet in its mouth was set up on the front. Since 1688 there is a baroque statue of Senator Antonio Bollani. It is also worth visiting the Folk Museum in Labin, which is located in the Battiala Lazzarini Palace. Here you can look at Roman finds and craft tools and admire the costumes of the time. 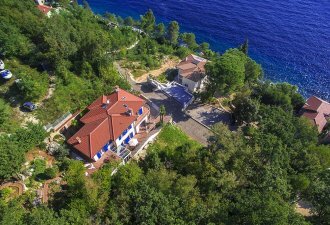 So you have everything on site you can rent a villa with pool in Labin or Rabac! From the villa you can reach all sights and relax in the evening! If you are looking for adrenaline you can also find it in Rabac! On the beaches in Croatia you can do a lot of water sports: from sea kayaking to stand-up paddling to windsurfing you will find everything you need to experience a lot of action. When parasailing you can experience Rabac from a bird's eye view. Anyone who wants to see something of the mysterious, hilly landscape of the Labin region can go on an expedition with Quad. For the elegant athletes there are also opportunities to ride. You can also go horseback riding with a view of the old town of Labin and Rabac. Also culinary Labin and Rabac have a lot to offer as places in Croatia. If you want to enjoy national dishes with good wines, go to the restaurant Marina. There is a diverse selection of fish and seafood dishes, which are typical in Croatia. Also the restaurant Adriatico is something for true gourmets! Here you get fresh fish and seafood served first class! In the restaurant Kvarner you get good food for a solid price! 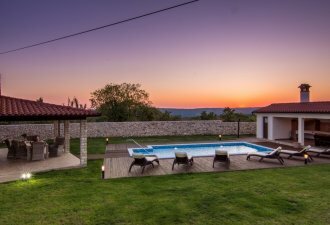 To let the evening fade away after an eventful day in Croatia, you can rent a villa with pool in Labin! All our holiday villas offer maximum comfort, whether for a holiday for two or for the whole family! We have the right holiday villas for your holiday in Croatia! On our website you will find hand-picked villas, which were visited and appraised by our team ! With us you can be sure that every villa in Istria or Croatia, which is offered by us, offers you the highest comfort. If you have questions, you can reach us 24 hours a day, seven days a week. We are always there for you with complications and ambiguities! With us you can relax and rent your villa with pool in Croatia. The booking of your villa in Croatia can be conveniently made online. 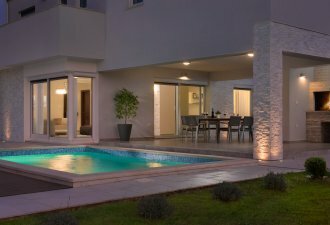 Villsy offers you first class holiday villas for rent in Croatia, so you can enjoy your holiday!